SES unveils the soft launch of its newly-formed data-centric business unit, SES Networks, at CommunicAsia 2017 – Asia’s annual premier ICT exhibition and conference -- in Singapore. 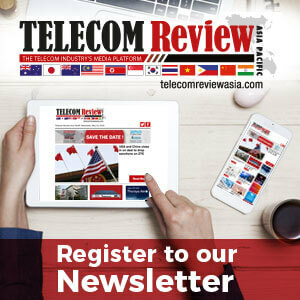 Telecom Review managed to secure an exclusive interview with EVP, Product, Marketing & Strategy at SES Networks, John-Paul Hemingway, at the event, where he disclosed the company’s plans for future growth in Asia, the thought process behind the new division - and the organization’s objectives for the rest of 2017. 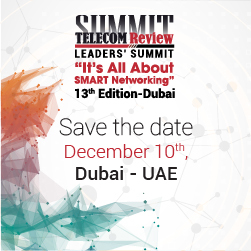 According to Hemingway, the event is key for the newly-created SES Networks, which brings together O3b Networks, a wholly-owned SES affiliate since August 2016, and SES’s data-centric interests under a single umbrella. 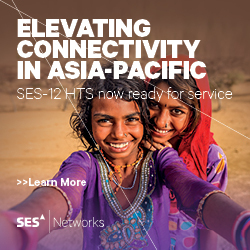 The soft launch of SES Networks represents an opportunity to engage with SES’s and O3b’s existing clients, and also generate the possibility of attracting new customers, as the exhibition houses all the leading players in the APAC region under one roof at one time. To help customers navigate the shift towards the business models of tomorrow, SES has been scaling up essential capabilities and recently restructured its business interests into two distinct business units: SES Networks and SES Video. The latter will consolidate SES’s content and media businesses. Hemingway, who is tasked with product, marketing and strategy responsibilities in a global capacity, said APAC is a very important market for SES Networks, and added that it was well established on the continent. He pointed to the slow connectivity levels in the archipelagos such as the Pacific Islands, Indonesia and the Philippines as an opportunity for further growth and expansion. Hemingway revealed that the Maritime market is an area that SES Networks is increasingly focusing on and has plans to develop a series of products in the future for the sector. The EVP of Product, Marketing & Strategy said: “The recent agreement with Patrakom from Indonesia sees SES providing connectivity to 80 vessels in the offshore waters in Indonesia. Although we aren’t providing massive connectivity to the individual vessels, the connectivity is undeniably important. The smaller vessels such as merchant and fishing vessels need connectivity for crew welfare and operational efficiency. Being on these ships for months at a time, the crews want to be connected to home and family, and we are proud to be providing this connectivity. When pressed on some of the major challenges currently facing the satellite industry, Hemingway stressed that the key objective for SES Networks was maintaining capacity at the right price point – and the right value for its large customer base. In relation to the company’s objectives for the rest of 2017, Hemingway said integrating all of SES’s data-centric businesses and continued growth were the two primary targets for the rest of the year.